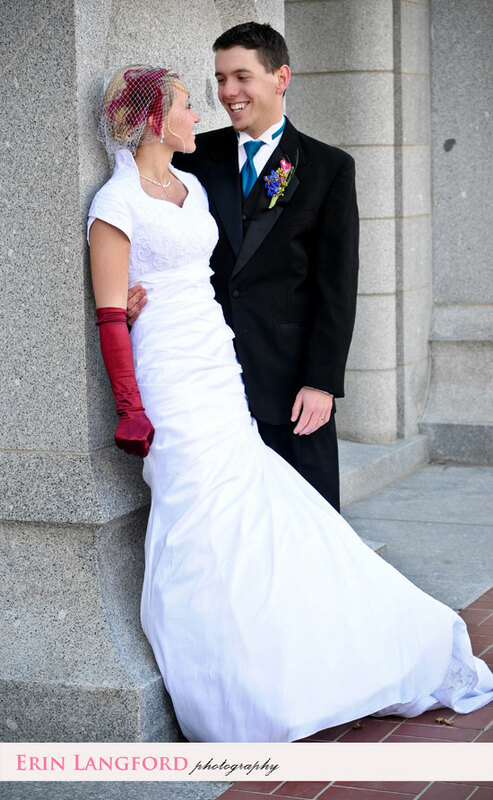 Dayloni and Markus were married on a chilly day at the Salt Lake Temple. Dayloni is from Pocatello, my old stompin’ ground, and Markus is from Salt Lake City. Dayloni had a super cute style and these two lovebirds really knew how to heat things up on such a cold day. 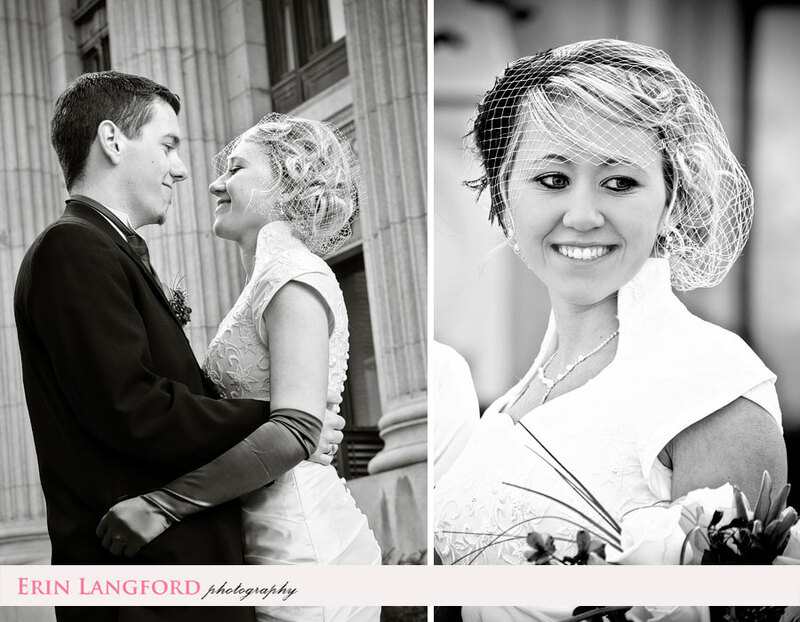 I had the pleasure of shooting their wedding with my friends from Emily and Nate Photographers. Emily and Nate are super fun, so if you are in the Idaho Falls area and need a photographer check them out. these are awesome erin! beautiful couple!! Good job Erin! I love love her style, dress, details how fun! !